Under 'Abenomics', the economic policy introduced under Prime Minister Shinzo Abe's administration, monetary policy led to the weakening of the yen against major world currencies and an increase in Japanese stock market prices. In these circumstances, because financial institutions continue to accept changing payment terms, the number of insolvency cases has declined over the past several years. According to statistics from the Supreme Court, the number of bankruptcy cases in 2015 was 71,533 (down approximately 2.5 per cent from the previous year); civil rehabilitation cases were 158 (down approximately 3.7 per cent from the previous year) and corporate reorganisation cases were 42 (39 of which are group companies of Rams Corporation). There was no bankruptcy of listed companies in 2016. A distressed debtor commonly seeks to reach a negotiated agreement with its creditors outside the court to avoid statutory insolvency proceedings. An out-of-court restructuring or workout can preserve a debtor's going-concern value and avoid administrative costs associated with statutory insolvency proceedings. 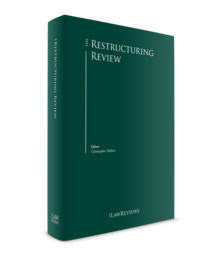 It is generally perceived by restructuring practitioners that an out-of-court restructuring is preferable to statutory insolvency proceedings to preserve a debtor's going-concern value and reduce the costs for restructuring. There are no specific rules on out-of-court restructurings, with the exception of several out-of-court restructuring schemes that have been developed. These exceptions, which provide guidelines and some level of certainty for out-of-court workout proceedings, include the Guidelines for Out-of-Court Workouts published by a study group in 2001, the Turnaround Alternative Dispute Resolution (Turnaround ADR) established in 2007, the Regional Economy Vitalisation Corporation of Japan (REVIC) scheme and the SME Business Rehabilitation Support Co-operative scheme. The following are, among the developed guidelines and schemes, outlines of Turnaround ADR and REVIC, which have recently been utilised often. Turnaround ADR was created through an amendment to the Act on Special Measures for Industrial Revitalisation and Innovation in 2007, to support turnaround of the debtor outside the court at an earlier stage. Turnaround ADR is designed to help facilitate negotiations between a distressed debtor and its financial creditors under independent mediators licensed by the Ministry of Economy, Trade and Industry and the Ministry of Justice. The Japan Association of Turnaround Professionals (JATP) is the only licensed organisation that can mediate Turnaround ADR cases thus far. Two or three mediators from the JATP who have long been seen as restructuring professionals preside over Turnaround ADR cases. Medium- or large-sized companies are supposed to employ Turnaround ADR. The creditors expected to participate in Turnaround ADR proceedings are generally financial institutions, while trade creditors generally do not participate in Turnaround ADR. The proceedings are not disclosed to the public. There have been approximately 50 cases that employed Turnaround ADR as of November 2015. REVIC was established in 2013 as a limited-term organisation to succeed the role of the Enterprise Turnaround Initiative Corporation of Japan (ETIC), which was established in 2009 to help turnaround of small and medium-sized enterprises (SMEs) in financial distress. ETIC also succeeded the role of the Industrial Revitalisation Corporation of Japan, which was established in 2003, modelled on Securum in Sweden. 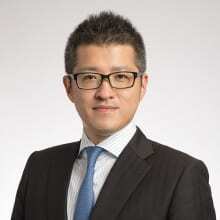 REVIC is a restructuring advisory firm with the function of debt and equity investment, owned by the Japanese government and private financial institutions. The purpose of REVIC is to support vitalisation of SMEs with excessive debts, even though they have their worthwhile management resources. The REVIC scheme provides many measures with qualifying debtors, including, among other things, purchasing the debts from financial institutions other than the 'main bank' and making a new equity investment in the debtor. If it purchases the debts or invests in the debtor, REVIC is expected to sell them within five years. REVIC then develops a turnaround plan and sends restructuring professionals to the debtor. Under Japanese law, there are three major types of insolvency proceedings: civil rehabilitation proceedings, corporate reorganisation proceedings and bankruptcy proceedings. Each can be categorised into one of two general types, depending on whether the aim of the proceedings is to restructure the company as an ongoing concern or to liquidate the company. Civil rehabilitation proceedings are roughly parallel to those under Chapter 11 of the Code; bankruptcy proceedings are roughly parallel to those under Chapter 7 of the US Bankruptcy Code. Civil rehabilitation proceedings are restructuring-type proceedings, which were introduced on 1 April 2000, and which apply to all types of companies, including corporations, partnerships and limited liability companies. Civil rehabilitation proceedings are often referred to as debtor-in-possession (DIP) proceedings. Generally, the management of a debtor, as a debtor-in-possession, will continue to operate the debtor's business, being overseen by a supervisor appointed by the court. Corporate reorganisation proceedings are also restructuring-type proceedings. Unlike in civil rehabilitation proceedings, they apply only to corporations. A reorganisation trustee will be appointed by the court to operate and administer the debtor's business and property. Corporate reorganisation proceedings are typically accompanied by a recapitalisation of the debtor, which commonly involves a 100 per cent capital reduction, coupled with capital increases by a plan sponsor. Bankruptcy proceedings are liquidation-type proceedings. A bankruptcy trustee, who represents the interests of all creditors, is appointed by the court to liquidate the debtor's assets into cash and then distribute the cash to the creditors in a fair and equitable manner (in principle, on a pro rata basis). All three insolvency proceedings can be filed either voluntarily or involuntarily. Generally, no one, including a debtor or any of its creditors, is obligated to file a petition to commence insolvency proceedings under Japanese law. Unlike in some other jurisdictions, such as the United States, insolvency proceedings in Japan do not automatically commence with the filing of the motion. The court instead issues an order to commence the proceedings, if it confirms that there exists a basis for the proceedings to commence and no cause for which it may dismiss the motion (e.g., a motion filed in bad faith). Unlike in some other jurisdictions, such as the United States, there is no automatic stay granted by the court following the filing of a petition. A stay is granted only upon the debtor filing another petition for temporary preservation of the debtor's assets. In civil rehabilitation proceedings, the court, simultaneously with the grant of a temporary restraining order, also orders that a supervisor be retained. In order to retain a supervisor, the court lists the debtor's activities that need to be approved by the supervisor, which include disposal of the debtor's assets (including creating a security interest on the debtor's assets) and DIP financing. The purpose of retaining a supervisor, together with obtaining a temporary restraining order, is to prevent the debtor's assets from being lost or collected by any creditor. In corporate reorganisation proceedings, the court also appoints a provisional administrator. A court order exclusively entrusts management of the debtor's business and administration of the debtor's assets to the provisional administrator. Consequently, the debtor's pre-commencement management loses these rights. The court typically enumerates the debtor's activities that will be managed by the provisional administrator, including payment of debts, disposal of the debtor's assets and borrowing. Contrary to civil rehabilitation proceedings and corporate reorganisation proceedings, in bankruptcy proceedings a temporary restraining order is not necessary because the period from the filing of a motion to commence bankruptcy proceedings until the court's order to commence bankruptcy proceedings is typically relatively short. Upon commencement of civil rehabilitation proceedings, in general, the pre-commencement management of a debtor does not lose their power to operate the debtor's business or to administer and dispose of the debtor's assets. The pre-commencement directors are responsible for turning around the debtor's business under the supervision of a court-appointed supervisor. On the other hand, upon commencement of corporate reorganisation proceedings, the power to administer and dispose of the debtor's assets and to operate the debtor's business is exclusively vested in a court-appointed reorganisation trustee. The provisional administrator appointed by the court upon the filing motion usually becomes a reorganisation trustee upon commencement of corporate reorganisation proceedings. Upon commencement of bankruptcy proceedings, the debtor company that is subject to the bankruptcy proceedings (the bankrupt company) loses the power to administer and dispose of its assets. In civil rehabilitation proceedings and corporate reorganisation proceedings, any creditor who has claims other than those classified as common benefit claims is required to file with the court a proof of claim within the filing period, as determined by the court, to be entitled to the voting right over a rehabilitation plan or reorganisation plan and other rights, including the right to repayment or refund under the plan. The procedures for filing a proof of claim in bankruptcy proceedings are almost the same as those in civil rehabilitation proceedings and corporate reorganisation proceedings. In civil rehabilitation proceedings and bankruptcy proceedings, secured creditors whose claims are not fully covered by their security interests also need to file a proof of claim identifying the expected amount of the claims to be unsecured by the fair value of the collateral to make the amount treated as a general unsecured claim under a rehabilitation plan. In contrast to the other two proceedings, in corporate reorganisation proceedings, secured creditors need to file both the amount of the secured claim that is covered by the fair value of the collateral and any remaining balance of the unsecured claim, because secured creditors are prohibited from exercising their security interest under corporate reorganisation proceedings. In a bankruptcy proceeding, a filed proof of claim will be incorporated into a list of creditors. Distribution will be made pursuant to the creditors' list after the amount of the filed claims is determined in accordance with the claim determination procedure as explained below. In general, a creditor who fails to file a proof of claim within the filing period may lose its right to distribution from the bankruptcy estate. Secured creditors whose claims are not fully covered by their security interest are also required to file the expected amount of claims to be unsecured by the fair value of the collateral. In all three proceedings, a creditor may assign its claim to another party at any time during the proceedings. The change in the creditor needs to be filed if a creditor assigns its claim after filing a proof of claim. Any proof of claim duly filed will be assessed and decided whether to admit or not admit each proof of claim by the debtor-in-possession, reorganisation trustee or bankruptcy trustee during the investigation period as designated by the court. A creditor is also entitled to object to a specific proof of claim during the investigation period. A claim that is admitted by the debtor-in-possession, reorganisation trustee or bankruptcy trustee and that is not objected to by any creditor is determined as set forth in the filed proof of claim. If the debtor-in-possession, reorganisation trustee or bankruptcy trustee or any creditor objects to the validity or the amount of a specific proof of claim, such claim will be determined by the court upon the filing of a petition for the court's determination by the creditor against whose claim an objection is made. A party can appeal to the bankruptcy court's order to determine the amount of the claim. Based on the amount of the pre-commencement claims determined through the process mentioned above, the debtor-in-possession or reorganisation trustee is obligated to propose a rehabilitation plan in civil rehabilitation proceedings or a reorganisation plan in corporate reorganisation proceedings and file it with the court within the period prescribed by the court. Any creditor who has filed a proof of claim (and any shareholder in corporate reorganisation proceedings) is entitled to do so within the period designated by the court. Both a rehabilitation plan and a reorganisation plan may provide for the amendment of the pre-commencement claims and other items that are allowed under the relevant law to restructure the debtor's business. As to the amendment to the pre-commencement claims, a rehabilitation plan and reorganisation plan needs to provide a general standard that is applicable to all claims in the same class, including the recovery rate, the payment schedule and a debt-for-equity swap. Any amendment to the pre-commencement claims needs to meet the principle of ensuring the liquidation value, referred to as the 'best interests of creditors test' in the US. This principle requires that the recovery rates in civil rehabilitation proceedings or corporate reorganisation proceedings be higher than those in bankruptcy proceedings. After the filing of a rehabilitation plan or a reorganisation plan, the court will issue an order to hold a creditors' meeting to put the proposed plan to a vote. In civil rehabilitation proceedings, a proposed rehabilitation plan is approved at the creditors' meeting with an affirmative vote by a majority of the creditors in attendance (or by way of a written vote) and an affirmative vote by holders of at least half of the total amount of the claims held by such creditors. In corporate reorganisation proceedings, a proposed reorganisation plan is approved at the meeting by each class of interested persons, and the requirements for approval by each class of interested persons are different as follows: for the class of secured claims, an affirmative vote by the secured creditors holding at least two-thirds the total amount of the secured claims is required; in general, for the class of unsecured claims, an affirmative vote by the creditors holding claims for a majority of the total amount of the unsecured claims is required; and for the class of shareholders, the shareholders have no right to vote in the event that the debtor's debts exceeds its assets at the time of commencement of corporate reorganisation proceedings. When the proposed rehabilitation plan or reorganisation plan is approved at a creditors' meeting, the court issues an order to confirm the approved plan, unless it finds, among other things, that the plan is unlikely to be completed or that the plan is contrary to law, including the principle of equal treatment and the principle of ensuring the liquidation value. The approved and confirmed rehabilitation plan or reorganisation plan becomes effective upon the confirmation order becoming final and binding, and the debtor will be released from the pre-commencement debts as provided for in the plan. The creditors may exercise their rights pursuant to the provisions of the plan. On the other hand, given that the purpose of bankruptcy proceedings is to liquidate a debtor to repay the debts, the bankruptcy trustee sells and disposes of all property belonging to the bankruptcy estate and distributes the cash to the creditors. Such distribution of funds is prorated to the amount of the claims determined through the claim-determination process as described above. Any balance of the claims after final distribution upon selling and disposing of all property belonging to the bankruptcy estate will be discharged. After the final distribution of proceeds from the bankruptcy estate, the court will order the conclusion of bankruptcy proceedings. A debtor-in-possession can emerge from civil rehabilitation proceedings, among other things, when the rehabilitation plan has been successfully implemented or when three years have passed since the court's confirmation of the plan. Conversely, the court issues an order to discontinue civil rehabilitation proceedings, with or without a motion from a debtor-in-possession or a court-appointed supervisor, if it becomes obvious that the rehabilitation plan is unlikely to be completed. Any creditor holding claims of at least one-tenth of the total amount of all unpaid claims provided for in the rehabilitation plan may move to revoke the rehabilitation plan if all or part of its claims are or is not paid, as the case may be. Once civil rehabilitation proceedings are discontinued or the rehabilitation plan is revoked, the proceedings will be converted into bankruptcy proceedings. A reorganised company can emerge from corporate reorganisation proceedings when: (1) the reorganisation plan has been successfully implemented; (2) the reorganisation plan has thus far been, and is likely to continue to be, performed without default, and at least two-thirds the claims under the reorganisation plan have been paid; or (3) it is certain that the reorganisation plan will be implemented even if all the requirements of (2) have not been met. Conversely, the court may issue an order to discontinue corporate reorganisation proceedings, with or without a motion from the reorganisation trustee, if it becomes obvious that the reorganisation plan is unlikely to be completed. In such case, the court will convert corporate reorganisation proceedings to bankruptcy proceedings. Similar to Section 363 sales in the United States, an increasing trend in Japan is for substantially all of a debtor's assets to be sold to a buyer prior to the proposal of a rehabilitation plan or reorganisation plan. With the court's permission, a debtor-in-possession in civil rehabilitation proceedings and a reorganisation trustee in corporate reorganisation proceedings may execute the sale of substantially all of the debtor's assets. A buyer will obtain the debtor's assets sold, but with liens on them, if any. Under Japanese law, creditors may not credit bid for the debtor's assets. In civil rehabilitation proceedings, cases have sometimes been seen in which a debtor files a motion to commence the proceedings along with an arrangement with a buyer under which the debtor will sell its business to the buyer prior to the proposal of a rehabilitation plan. This is called 'prearranged' civil rehabilitation proceedings. This type of prearranged filing, however, has not yet gained popularity because the break-up fee agreed on pre-commencement is classified as a general unsecured claim under Japanese law. A buyer needs to get around this issue by signing an agreement immediately upon commencement of civil rehabilitation proceedings. Claims are classified depending on their nature and receive different treatment. Some classes are not subject to discharge or change in amount under insolvency proceedings, while other classes are. It is essential to understand which class a particular claim comes under in each insolvency proceeding. The following discussion explains the general nature of each class and its treatment in insolvency proceedings. Similarly to how administrative expenses are treated under the US Bankruptcy Code, certain types of claims incurred to preserve a debtor's going-concern value or bankruptcy estate are classified as a 'common benefit claim' in civil rehabilitation proceedings and corporate reorganisation proceedings or an 'estate claim' in bankruptcy proceedings. All amounts of such claims are paid from the debtor's property or the bankruptcy estate from time to time when they are due and payable. Consequently, a creditor who has a common-benefit claim or estate claim is accorded priority over any other type of claim. Generally, a secured claim that is treated as a right to separate satisfaction or a secured reorganisation claim is a claim secured by a mortgage, a pledge, a special type of lien or a special type of right of retention on certain property of the estate of the debtor, and remains secured at the commencement of insolvency proceedings. Further, a claim secured by such security interest will be treated as a 'secured claim' only to the extent of the sale price (in civil rehabilitation proceedings and bankruptcy proceedings) or the fair value (in corporate reorganisation proceedings) of the collateral. If the amount of the creditor's claim exceeds the sale price or fair value of the collateral, the remaining balance after a foreclosure or sale of the collateral (in civil rehabilitation proceedings and bankruptcy proceedings) or the unsecured amount of the claim (in corporate reorganisation proceedings) is treated as a general unsecured claim. In civil rehabilitation proceedings and bankruptcy proceedings, a secured creditor is treated as a creditor who holds a 'right to separate satisfaction'. A secured creditor is entitled to foreclose on or sell the collateral outside of bankruptcy proceedings or civil rehabilitation proceedings, receiving repayment from the proceeds of the collateral. In this sense, a secured creditor has the priority on repayment from the value of the collateral; however, any unpaid amount of the claim through such foreclosure or sale will be treated as a general unsecured claim. In corporate reorganisation proceedings, a secured creditor holds a secured reorganisation claim. Contrary to civil rehabilitation proceedings and bankruptcy proceedings, a secured creditor in corporate reorganisation proceedings may not foreclose on the collateral outside of the corporate reorganisation proceedings. Furthermore, the full amount of the claim corresponding to its security interest is not necessarily treated as a secured reorganisation claim; only the amount of the claim that is covered by the fair value of the collateral at the time of commencement of the corporate reorganisation proceedings is treated as a secured reorganisation claim, and the remaining amount that is unsecured by the collateral is treated as a reorganisation claim (general unsecured claim). To evaluate the fair value of the collateral has a great significance, which will be conducted through the claim determination process, as discussed above. A claim that results from grounds or causes that existed before the commencement of insolvency proceedings and is secured by a general statutory lien or accorded any other priority under the relevant law is treated as a preferred unsecured claim in insolvency proceedings. A typical example of this claim is wages of employees and certain tax claims, because the relevant law accords priority on these claims. In bankruptcy proceedings and corporate reorganisation proceedings, a creditor with such preferred unsecured claims may not exercise its rights outside the proceedings. Such creditor has a right to distribution from the bankruptcy estate in bankruptcy proceedings or a right in accordance with the reorganisation plan in corporate reorganisation proceedings, with priority over general unsecured claims. On the contrary, a preferred general claim in civil rehabilitation proceedings is generally not subject to restriction on exercising rights under civil rehabilitation proceedings. A creditor with such claim may collect from the debtor from time to time when debts are due, outside of the proceedings, unless the court orders otherwise. A claim that results from grounds or causes that existed before the commencement of insolvency proceedings and does not fall within any other class of claim is classified as a general unsecured claim. A general unsecured claim is subordinate to a preferred unsecured claim. A creditor with such general unsecured claims may not exercise its rights outside the insolvency proceedings, only being given a right to distribution from a bankruptcy estate or a right in accordance with a rehabilitation plan or reorganisation plan. Unlike some other jurisdictions, such as the United States, it is not mandatory for a creditors' committee to be formed in Japan. The statutes of civil rehabilitation proceedings and corporate reorganisation proceedings, however, entitle the court to approve the participation of the creditors' committee in the proceedings under certain circumstances, if any creditors have formed a creditors' committee. The court-approved creditors' committee is entitled to be actively involved in the restructuring of a debtor's business. For example, the creditors' committee may request a debtor or reorganisation trustee to make a status report on the restructuring of the debtor's business. The expense for the creditors' committee is reimbursed if the court finds that the committee contributed to ensuring the turnaround of the debtor. Nonetheless, it is quite rare for the creditors' committee to be formed, although an increasing trend towards formation of the creditors' committee can be seen in corporate reorganisation proceedings. This would be partly because the court oversees the whole proceedings, and thus, a debtor or reorganisation trustee is not allowed to control the proceedings ignoring the interests of the creditors. Any creditor may inspect or copy documents submitted by a debtor or trustee to the court so as to obtain information. The court may, however, restrict the inspection or copying by a creditor if the debtor or trustee demonstrates with prima facie evidence that a document contains information that would likely be significantly detrimental to the turnaround of the debtor's business or would cause serious damage to the debtor's property if it were to be inspected or copied by a creditor. In addition, as a practical matter, a debtor-in-possession or reorganisation trustee in civil rehabilitation proceedings or corporate reorganisation proceedings voluntarily shares information of the debtor's business and property with major creditors from time to time to provide a rationale on whether to vote for a rehabilitation plan or reorganisation plan proposed by the debtor or reorganisation trustee. In bankruptcy proceedings, at a creditors' meeting the bankruptcy trustee reports on the current status of liquidating the debtor's assets. Upon commencement of the proceedings, a debtor is afforded the protection of being able to suspend payment of their debts. During the period from the filing of a motion until commencement of the proceedings, a temporary restraining order affords a debtor such protection. Trade creditors, however, will consider repudiating performance of their obligations out of strong negative concerns about collecting their future claims. A debtor's going-concern value will rapidly deteriorate if a significant portion of the commercial trades necessary to run the debtor's business is suspended in this manner. In civil rehabilitation proceedings or corporate reorganisation proceedings, the court, therefore, may exempt payment of small debts or certain trade claims from prohibition, taking into account the necessity to do so, the debtor's business size, equitable treatment of other general unsecured claims and other factors. Japanese law grants a supervisor, a reorganisation trustee and a bankruptcy trustee powers to set aside certain transactions to preserve the debtor's business as a going concern or to maximise the liquidation of the debtor's assets. Outlined below are pre-commencement transactions that will typically be examined and reviewed upon commencement of insolvency proceedings; avoidance and bilateral executory contract. A court-appointed supervisor in civil rehabilitation proceedings, a reorganisation trustee in corporate reorganisation proceedings and a bankruptcy trustee in bankruptcy proceedings may exercise the right of avoidance should an act be found to have been conducted that was prejudicial to creditors or granted a preference to a specific creditor. Contrary to some jurisdictions abroad, a creditor committee, an individual creditor or a shareholder has no standing (even derivative standing) to bring a motion before the court to exercise the right of avoidance. The avoidance under Japanese insolvency proceedings is categorised into two major types: avoidance of acts prejudicial to creditors and avoidance of acts that grant a preference to a specific creditor. In addition, any preference not obligated by the debtor in terms of the act itself or the time of the act may also be avoided if such act was conducted within 30 days before the debtor became unable to pay debts and if the creditor knew, at the time of the act, the fact that it would prejudice other creditors. Upon commencement of insolvency proceedings, a debtor or trustee is authorised to choose to terminate or to continue the debtor's 'bilateral executory contracts'. Bilateral executory contracts are those in which the debtor and the counterparty obligate themselves reciprocally, so that the obligations of the debtor are correlative to the obligations of the counterparty and all or part of the obligations of both the debtor and the counterparty have yet to be performed at the time of the commencement of insolvency proceedings. If a debtor or trustee chooses to continue a bilateral executory contract, the counterparty shall perform its obligations under the contract, and any right of the counterparty under the contract is treated as a common benefit claim or estate claim, and the counterparty is entitled to prior payment or refund for such claim. If a debtor or trustee chooses to terminate a bilateral executory contract, the debtor or trustee is required to return any assets transferred if the counterparty is obligated under the contract to transfer such assets and if such assets are actually retained by the debtor or trustee, or compensate the counterparty if the counterparty is obligated under the contract to render services other than transferring assets or if the debtor or trustee does not actually retain the assets transferred by the counterparty. Any right of the counterparty to a refund of the price for its performance of obligations upon such termination is treated as a common benefit claim or estate claim, and the counterparty is entitled to a prior refund from the debtor's assets or bankruptcy estate. With regard to out-of-court workouts in Japan, Turnaround ADR is the most common framework for consensual out-of-court restructuring for medium- or large-sized companies in which a debtor may seek to reach an agreement with its financial creditors out of court with independent experts' support, while continuing their business transactions. On the other hand, financial creditors can reduce their tax burden occurring because of the debt waiver through this procedure. In 2012, there were several developments of this procedure, because, in spite of certain positive reviews, it was not used for many cases (only about 50 cases filed from its establishment in 2007 to 2015). For ease of use, an ordinance of the Ministry of Economy, Trade and Industry revised it to mitigate the qualifications to be a procedure mediator, the restriction of the number of expert mediators for small cases with less than ¥1 billion of total liabilities, and the requirement to set the DIP financing in such proceeding. The Industrial Competitiveness Enhancement Act (ICEA) seems to have had a major impact on the restructuring market. The ICEA was enacted on 4 December 2013, for the purpose of implementing the measures that were incorporated in the Japan Revitalisation Strategy, which was approved by the Cabinet on 14 June 2013, as the third arrow of Abenomics to strengthen the industrial competitiveness of Japan. To do this, the ICEA has taken several actions to deal with three major distortions of the Japanese economy: excessive regulation, underinvestment and delay in consolidation. Concerning the restructuring market, the ICEA aims to create an environment to promote early business rehabilitation by facilitating out-of-court workouts and enhancing support for local SMEs to start and rehabilitate businesses, which has aimed to create and foster a business environment to promote business restructuring that tries to significantly increase profits and promote venture businesses. The ICEA provides important articles regarding out-of-court workouts regarding the reduction of the principal of corporate bonds under Turnaround ADR (Sections 56 and 57 ICEA). These articles provide a procedure under which the procedure mediators may confirm the necessity and reasonableness of the deduction of the principal of corporate bonds, and the court will consider such confirmation in the approval of the resolution at the Bondholders' Meeting for such reduction. These seem to favour debtors that have issued corporate bonds to file Turnaround ADR, since whether the principal of corporate bonds may be reduced under such proceedings was not clear before such legislation was enacted. Although the overall number of statutory insolvency cases has been declining, analysis of the cases filed in 2015 shows that insolvency cases has primarily been arising from compliance violations and economic fluctuations occurring in other countries. In recent years, compliance violations, such as window-dressing financial statements, violation of industry law, cartels, mislabelling of food, false contracts and fabricated earthquake-resistance on buildings have caused financial difficulty in several restructuring cases, and have come to be recognised as serious risks to companies. Even though the compliance violations may relate to a certain product that represents a relatively small portion of a company's sales, because of the bad impression that the public may form of that company, compliance violations may lead to scandals arising, which may lead to top management taking responsibility for the violations, or at worst, insolvency of the company. The prevailing view is that the increased importance that has been placed on the corporate social responsibility (CSR) of companies is one of the reasons that there is an increasing risk of compliance violations. Today, a widely supported idea is that companies should not only maximise profit but should also take into consideration the interests of various stakeholders, and provide safe products and services that comply with laws and regulations. The greater the emphasis placed on CSR, the more likely it is that compliance violations will arise, and the extent and severity of public sanctions are also likely to be significantly greater. Thus, the generally held view is that top management is tasked with continuing to improve crisis management and risk control. Another recent trend of restructuring cases is that the economic fluctuation in other countries has resulted in companies facing financial difficulties. In pursuit of low labour costs or to realise market potential, many companies produce and sell in foreign countries, and Asian countries, especially China, have deep economic ties to Japan. Recent research by Tokyo Shoko Research Ltd in 2015 has revealed that approximately 20 per cent of listed companies (694 of 3613 companies) in Japan have mentioned issues related to China, such as economy, politics or social policies, as business-related risks in their annual securities reports. When looking at the recently filed cases in 2016, the number of insolvency cases caused by issues related to China has increased approximately 8.9 per cent year-on-year, and the common reasons are rising labour or procurement costs, fluctuations in foreign exchange and financial difficulties faced by their suppliers and customers that resulted from the impact of the economic slowdown, which was in turn caused by the economic situation arising from the tightening of monetary policy in China. Following the ratification by the Japanese government of the UNCITRAL Model Law on Cross-Border Insolvency, the Act Concerning Recognition and Assistance for Foreign Insolvency Proceedings (the Act) was enacted on 1 April 2001, to coordinate the liquidation and rehabilitation of debtors that are engaged in international business activities and subject to insolvency proceedings commenced in jurisdictions other than Japan. Under the Act, where a debtor has an address, domicile, place of business or office in a foreign jurisdiction and an insolvency proceeding similar to bankruptcy proceedings, civil rehabilitation proceedings or corporate reorganisation proceedings in Japan has been commenced against the debtor in that foreign jurisdiction, the trustee (or the debtor, where no trustee has been appointed) who is authorised in the foreign insolvency proceeding to administer or dispose of the debtor's assets may file with the Tokyo District Court an application to recognise the foreign insolvency proceeding. The Act prescribes the circumstances where the court is required to dismiss such an application, such as where recognition of the foreign insolvency proceedings would be against the public policy of Japan or where a Japanese statutory insolvency proceeding has already commenced in Japan against the debtor. in limited circumstances, suspension of the enforcement of secured claims against assets of the debtor in Japan. 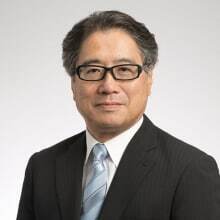 The court may also require that the debtor obtain the court's approval to dispose of any of the debtor's assets in Japan, to transfer its assets to a foreign jurisdiction, or to perform or engage in any other acts designated by the court. Any act by the debtor in violation of a court's orders will be null and void and subject the debtor to criminal sanctions. In response to the enactment of the Act, an amendment to Japanese insolvency law was also made to coordinate cross-border insolvency between more than two jurisdictions. For example, a Japanese trustee may ask a foreign trustee to cooperate and provide such information as is required to properly carry out the insolvency proceeding, and vice versa. In principle, foreign creditors are treated in the same way as domestic creditors. Having said that, the 'hotchpot' rule, designed to ensure all creditors in the same class are equally treated, applies to a foreign creditor who is paid in a foreign jurisdiction. Under the rule, a foreign creditor, by claiming in a foreign proceeding, will not receive more than the proportion of payment that is received by other domestic creditors of the same class. To ensure the smooth progression in out-of-court workouts, the possible ways of conducting debt-workouts under out-of-court workout proceedings by majority votes have been recently studied. A study group convened 12 times from March 2014 to March 2015. Although the study group was not made public, its members are believed to be renowned experts, and professors and representatives from the Ministry of Economy, Trade and Industry, Financial Services Agency, Ministry of Justice, Supreme Court and Bank of Japan participated as observers. This study group published a report in March 2015, and in it, several models that should be examined when the legislative amendment is considered were proposed. This report also includes a model to enable debt restructuring with dissenting creditors by the court approval, improve the operation of the simplified rehabilitation procedure and newly create the prompt reorganisation procedure. It seems likely that this report will lead to the reform of the platform for out-of-court workout procedures, making it much easier to use.